Jaguar> Coupe and convertible Jaguar F-type SVR. Learn modification SVR easiest way for a new bumper with large air intakes and splitter. «Lighter» five millimeters longer than all the others «ef-taips» (4475 mm), her biggest clearance in the family — 107 mm (clearance from fellows — 100-104 mm). Other sizes are the same. At the disposal of the Dutch edition of Autovisie Magazine appeared leaked to the network of official booklet (122 pages), which opened early design and technical specifications coupe and convertible Jaguar F-type SVR. It was assumed that the division of Special Vehicle Operations bestow the «hot» dvuhdverki engine capacity of six or more forces, but this prediction did not come true. Five-liter «eight» produces 575 hp and 700 N • m. Note from the Roadster F-Type Project 7 «horses» exactly the same as Newton meters is less than 20, so with equal curb weight (1585 kg) in dispersal to hundred it is a bit inferior version SVR (3,9 to 3 against, 7). In coupe rear spoiler automatically rises when it reaches 113 km / h and down to 80 km / h (at the gig is going at speeds of 97 and 64 km / h). Wheels — forged aluminum wheels with a diameter of 20 inches and tires Pirelli P Zero. The interior decoration used leather with contrasting stitching and embossed logos SVR, carbon fiber and aluminum. Maximum speed «ef-Taipa» Project 7 is limited at around 300 km / h, while the coupe reaches 332 SVR’s, convertible — 313 km / h, that is before us representatives of the most high-grade, if we consider the current production models. Jaguars F-type SVR will be offered exclusively with all-wheel drive and an eight «automatic». 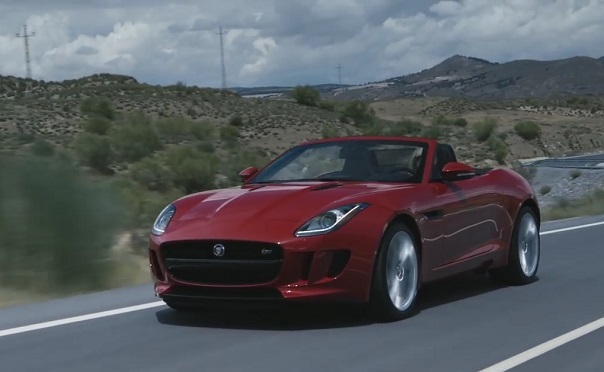 Fuel consumption in the combined cycle is different from the 550-strong version of the Jaguar F-type R — 11,3 l / 100 km. In the Netherlands, cars will go on sale in May, it was to be premiered in Geneva — almost Resolved Question. If desired, customers will receive uglerodokeramicheskie brakes which weigh 21 kg less than the standard, and lightweight titanium exhaust system (still minus 12 pounds). Prices remain unknown.